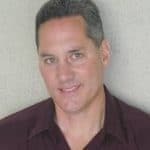 Tom Paladino is a scalar energy researcher and has 25 plus years’ experience helping people with pathogenic infection. Tom’s research and work with the scalar energy began during his undergraduate years. He was inspired by various scientists, i.e., Hieronymus, Moray, Priore and especially Nikola Tesla, as to the existence of an energy that is not of the electromagnetic spectrum. With this inspiration, he pursued a course of independent study in order to better understand and subsequently harness scalar energy. Scalar energy is also known as prana, chi, radiant energy, zero point energy, qi, orgone, eloptic. After years of experimentation and modification, Tom Paladino has developed a technique using scalar energy that will transmute pathogens quickly and painlessly. This technique facilitates the use of photographs of people who desire to have pathogens transmuted in their bodies. Tom Paladino developed a treatment process whereby he is able to administer the scalar energy reverse-phase angle harmonic of a pathogen, thereby causing that agent of infection to disassemble or fall apart. His Pathogen Cleanse currently disassembles over 400,000 pathogens for humans and animals. The Nutrient Therapy delivers 308 essential nutrients to the cells of humans and animals. The Chakra Balance harmonizes the body for humans and animals.